Last week Urban Green Lab hosted 27 trailblazing educators in a training on sustainability, the Sustainable Classrooms curriculum, and US Green Building Council certification. Topics covered in the curriculum include: introduction to sustainability, energy waste, water waste, food waste, solid waste and litter, transportation and the built environment, and air quality. 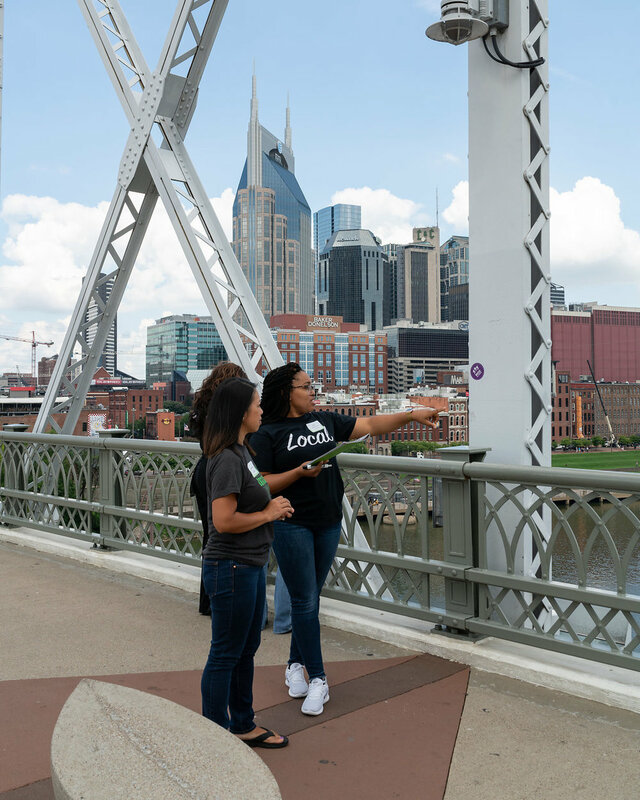 Participants engaged in 3 of the lessons including the Sustainable City Challenge project and were guided in a tour of sustainable features of the historic Bridge Building by Erica Weeks of Hastings Architecture and Green Studio. Teachers completed the USGBC Green Classroom Professional certification and received a stipend along with all of the materials needed to complete the 7 lessons. The training was followed by the official launch of the statewide program and the second annual Sustainable Teacher Awards. This cohort of exceptional educators will be bringing sustainability to 16 MNPS middle schools this year. Urban Green Lab would like to thank all of our incredible partners who have supported this innovative program and allowed hard-working teachers to attain training and materials to accomplish their goals and empower students to become stewards of our planet.